Clever. Fun. Memorable (though all of our designs are)! 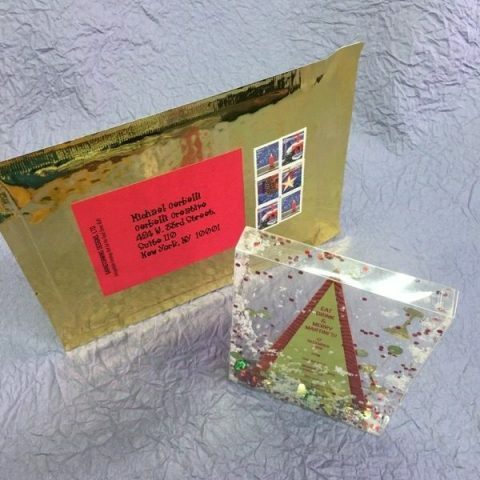 We’ve taken the concept of a snow globe and “flattened it” to make it mail-able! It originated with holiday designs which included snow but the design options are endless. 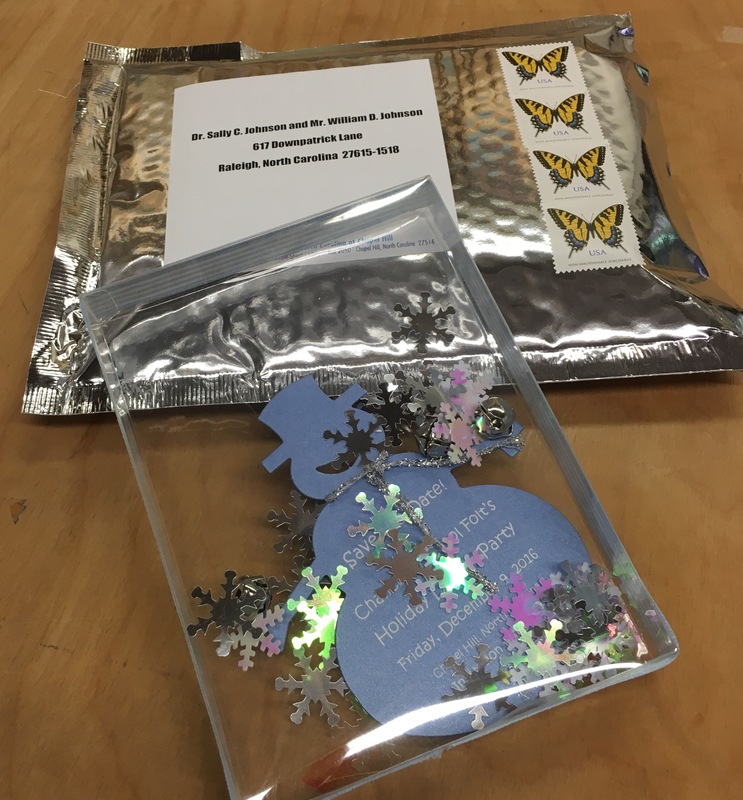 Above is our “Holiday Martini Party” invite complete with martini confetti, jingle bells and snow. The invite floats within the ‘snow globe’ on sage green paper layered on regal red corrugated board. 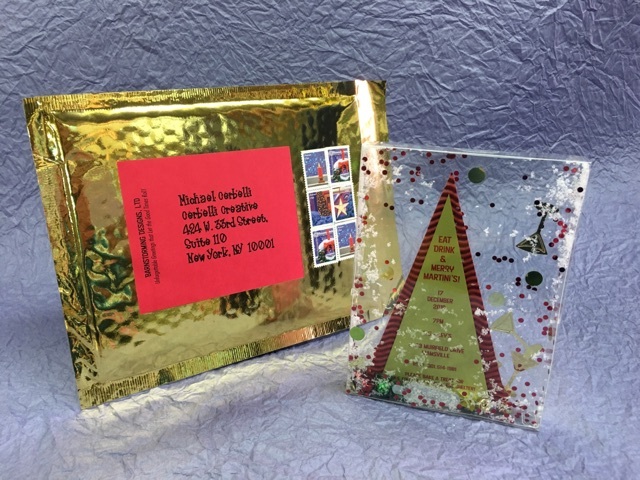 It mails in a gold bubble-lope that will entice the recipient to open. We guarantee you will get a response. A “Save The Date” for a Holiday Party hosted by the Chancellor of The University of North Carolina at Chapel Hill.